Come out and create your own masterpiece at this special Paint and Groove with Yasmin. A little wine, a little paint and a whole lot of fun! 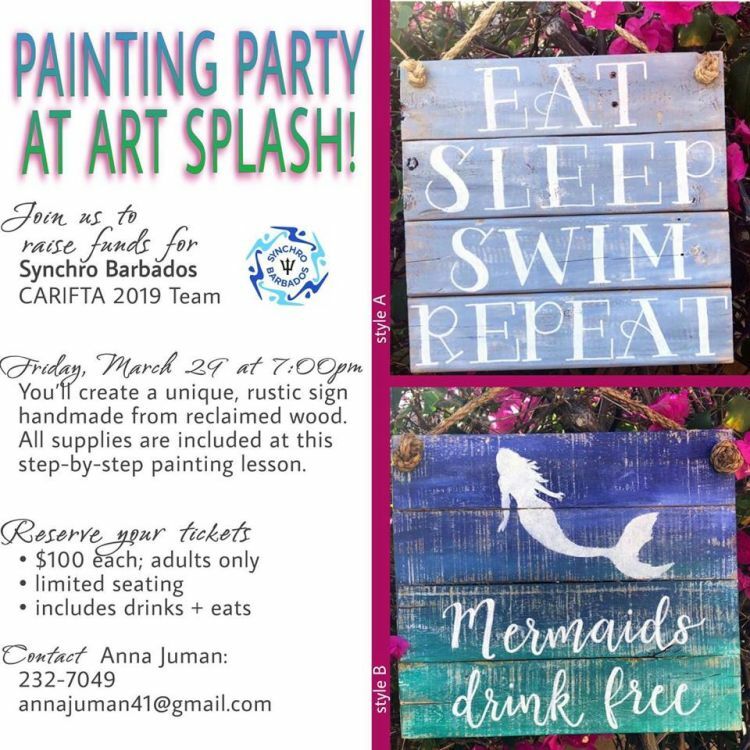 This event will raise funds in support of Synchro Barbados. 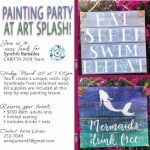 Registration at 6:30 pm; Painting starts at 7:00 pm. Admission: Bds $100 - includes drinks, refreshments, all art materials and instructions. For bookings and directions, please call Anna Juman at 232-7049 or email annajuman41@gmail.com.